To view full event results, click here. 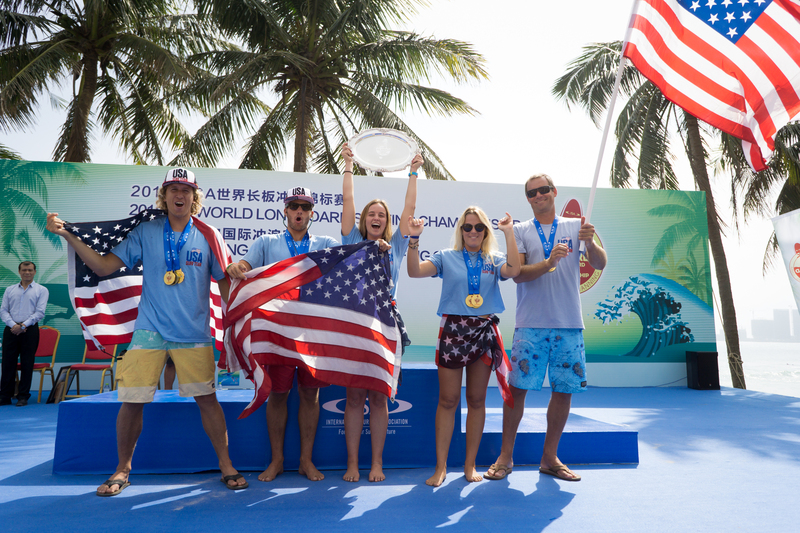 Led by an impressive three individual medals, Team USA rose to the top of World Longboarding and was crowned Team Gold Medalist at the 2018 ISA World Longboard Surfing Championship at Riyue Bay in Wanning, China. Tory Gilkerson’s Gold Medal in the Women’s Division and Tony Silvagni’s and Kevin Skvarna’s respective Bronze and Copper Medals in the Men’s Division solidified Team USA’s position atop the leaderboard, crowning them the ISA Longboard Team Champion for the first time ever in China. “I’m so stoked to win, not only for myself but for my team,” said Gilkerson. “It’s amazing to get the Team Gold. We have great camaraderie and are all super supportive of each other. It’s like a team of brothers and sisters. We’ve had a great all-around performance. The Team Gold is the icing on the cake. Silvagni and Skvarna battled against all odds in the Repechage Rounds to make it to the Grand Final. 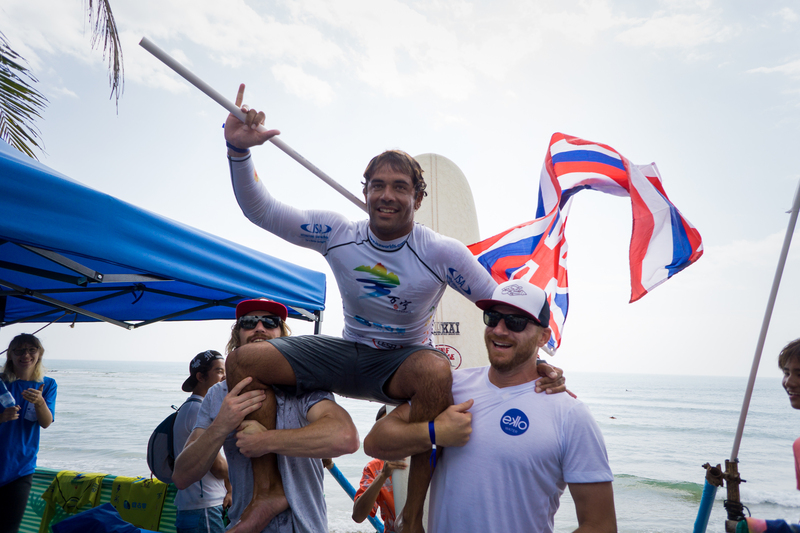 Both surfers matched up in the same heat for three consecutive elimination rounds, and all three times both surfers managed to use their teamwork to advance in the top two positions, a feat that was necessary to get USA the Team Gold. Team Peru followed USA in the Silver Medal position, led by a strong individual Silver Medal performance by Benoit “Piccolo” Clemente. Hawaii followed with the Bronze Medal and Brazil with the Copper. Kai Sallas scorched straight through the Men’s Main Event Rounds and continued his dominance in the Grand Final, marking the highest wave score of the event with 9.87 in the dying minutes to leave no doubt of his elite status in the sport of Longboarding. Sallas’ Gold, paired with his teammate Honolua Blomfield’s Copper, propelled Team Hawaii to an improbable Team Bronze, despite only have three out of a maximum four competitors on their squad. History was made in the Women’s Grand Final as Japan’s Natsumi Taoka earned the first-ever ISA Longboard Medal for a Japanese surfer with the Copper Medal. Taoka’s performance comes on the back of a string of elite showings from Japanese surfers, such as Joh Azuchi’s Gold at the 2017 VISSLA ISA World Junior Surfing Championship, that demonstrate the growing talent and popularity of the sport in Japan heading towards Surfing’s Olympic debut in Tokyo 2020. The final day of competition kicked off with an increase in swell and clean conditions at China’s famed left-hand point of Riyue Bay. A morning of Repechage and Main Event Rounds brought the event to the highly anticipated Grand Finals, featuring the top talent in the sport. 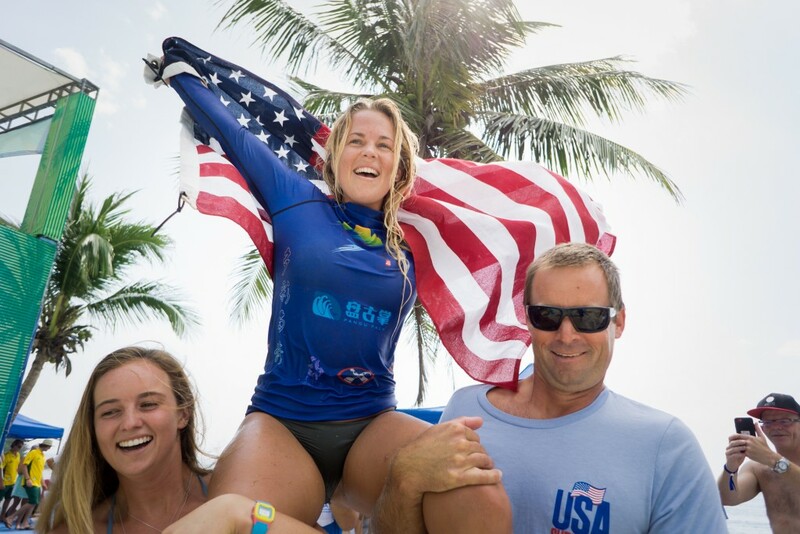 In the Women’s Grand Final Tory Gilkerson faced off against Brazil’s Chloe Calmon, Japan’s Natsumi Taoka, and the reigning WSL champion, Honolua Blomfield, for a chance to earn her first-ever ISA medal. Gilkerson used her patience to her advantage and rode only four waves to obtain the 16.30 heat score to win the Gold. Brazil’s Calmon used a last-minute 7.77 to move into the Silver Medal position, while Blomfield and Taoka earned the Bronze and Copper respectively. The Men’s Grand Final followed featuring a strong field of the world’s best longboarders. Kai Sallas continued to assert his dominance in the event. Already owning the highest wave score of the event with 9.67, Sallas topped his own mark and obtained a near-perfect 9.87 to earn a spot atop the Men’s podium. Peru’s Benoit ‘Piccolo’ Clemente narrowly edged out USA’s Tony Silvagni for the Silver Medal, leaving the USA duo, Silvagni and Kevin Skvarna respectively with the Bronze and Copper. ISA Executive Director, Robert Fasulo, addressed the international delegations at the Award Ceremony. “ISA World Longboarding is back! What an amazing week!” said Robert Fasulo. 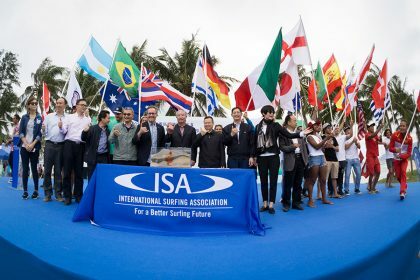 “On behalf of the ISA President, and the world surfing family, I would like to thank our partners in the Wanning Government, the Chinese Extreme Sports Association, and the Pangu Palm Surf Club. They have done an incredible job this week. 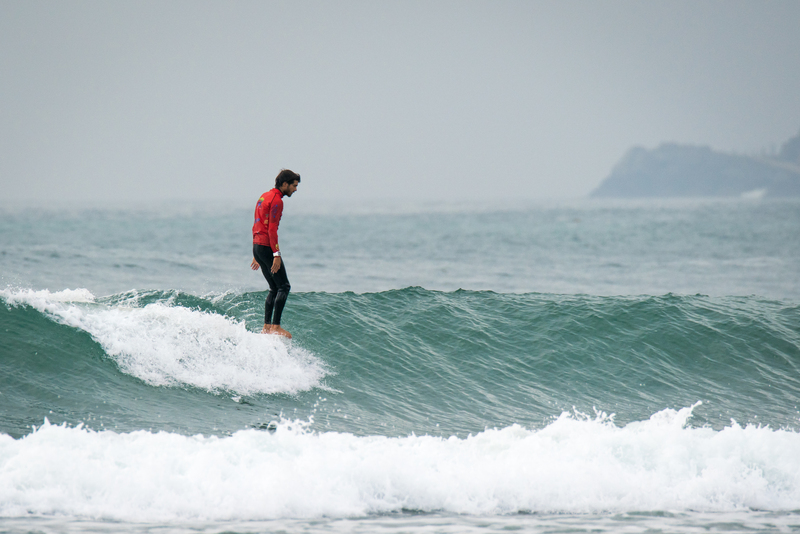 “There is no doubt for us that Riyue Bay has delivered as an epic venue for world-class longboarding. 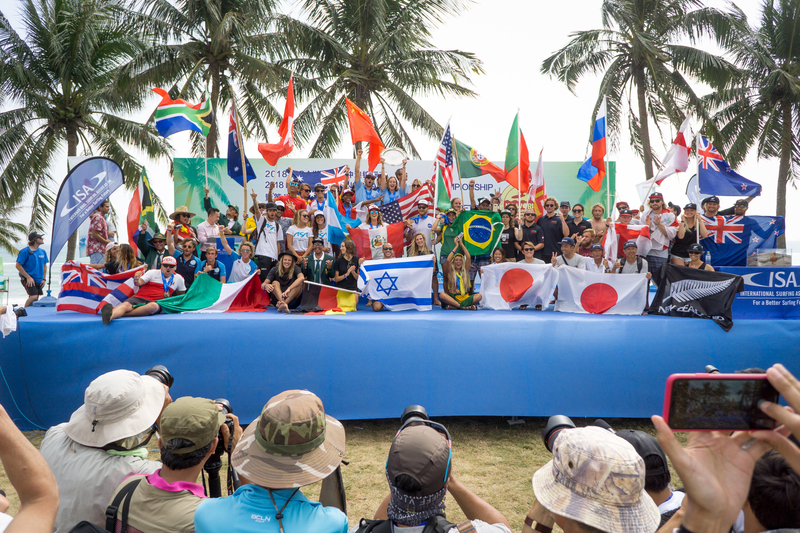 The world’s best longboarders have delivered a phenomenal competition that has exceeded all expectations.